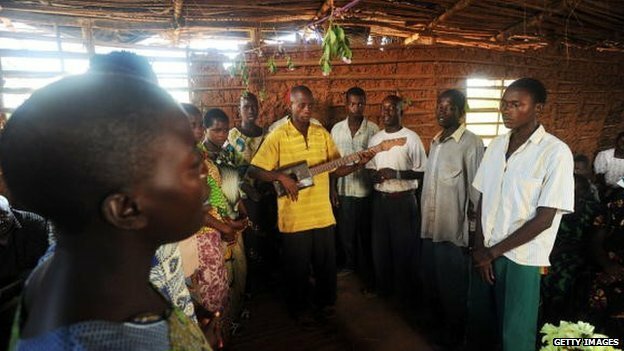 A government survey last year found there were 557 denominations practising in the small Central African state. New regulations would require churches to have at least 500 members and a proper building. Evangelical churches mushroomed during and after the long ethnic-based civil war, which officially ended in 2005 after some 300,000 people had died. The BBC’s Prime Ndikumagenge in the capital, Bujumbura, says the bill received the unanimous support of MPs in the National Assembly and is unlikely to face much opposition in the Senate. If no changes are made to the draft legislation, it must be signed by the president within 30 days or sent back to parliament for a second reading. Once signed into law, churches would have a year to comply with the new regulations. For a foreign church to be allowed to register, it would have to show that it had 1,000 followers. Our correspondent says it is common to see makeshift tents where worshippers gather by the side of the road on Sundays. Anyone can set themselves up as a preacher and there have been a few scandals over the years involving some of the smaller churches, he says. Some preachers have been accused of manipulating or abusing their followers. One reported case involved a preacher who said that barren women wanting to conceive should sleep with him. 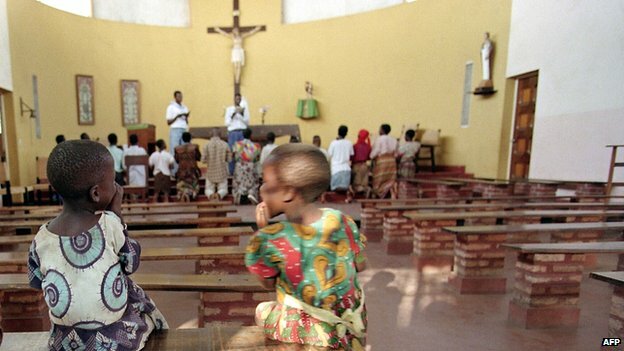 Most of Burundi’s nine million inhabitants are Christian, and some also follow traditional beliefs. During the parliamentary debate on Wednesday, MP Jean Minani asked for those following these animist beliefs to be given the right to worship as they wanted. Animist worshippers pray and perform rituals in the open to communicate with their ancestors or their god Imana. But Interior Minister Edouard Nduwimana dismissed such practices as “backward”. President Pierre Nkurunziza – a former rebel who was first elected president in 2005 – is a born-again Christian and his wife is a preacher in an evangelical church. Posted on 10th July 2014 by newsafrica. This entry was posted in Africa, Burundi, Christainity, Religion and tagged BBC, Bujumbura, Burundi, Central African Republic, Evangelicalism, Jean Minani, Pierre Nkurunziza, Senate. Bookmark the permalink.